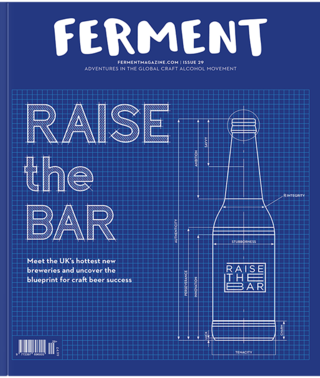 The advent of a new era of beer-enjoyment has given us so much: a revitalised interest in porters and stouts, thousands of inspired new takes on the humble IPA, a boom in sour beer appreciation, milkshake beers, smoothie beers, dank beers, historic beers, the lager revolt and the iceman pour. (That last one was a joke.) Things have never been better for drinkers. Two sour beers at Indy Man. That’s unrecognisable to the scene that we enjoy today. So while you sup your brut IPA and think about how great we’ve got it in 2018, have a think about this brainteaser: how is our appreciation and adjustment to excellent beers of all kinds affecting new brewers? At first glance, this is an easy question. Surely having more drinkers who understand and appreciate a larger range of beer styles can only be good for brewers? Of course, it seems that way. If you’re a brewer, you’re enjoying a huge number of new customers joining the unofficial guild of beer drinkers, who get enthusiastically involved in every aspect of the scene. They care about you and become invested in your brand and who you are. They become fans as well as drinkers. Once drinkers are on-board with your ideas, they’ll let you take them anywhere - through flavours they’ve never tasted, discovering styles they’ve never heard of. It’s an exciting place to be. There’s another side of the beermat though. Those same passionate people are busily soaking up the lingo, understanding the brewing process and what drives it, and thinking more deeply about what they drink and whose beer they want to buy. 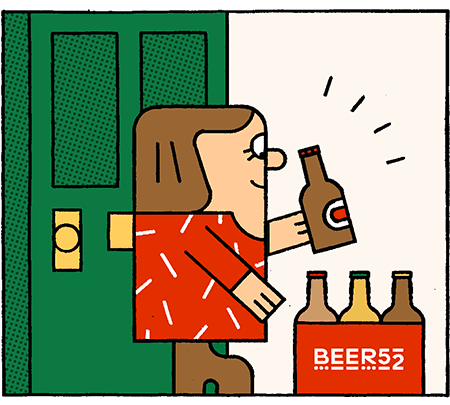 The so-called “craft beer revolution” hasn’t just created an amazing wonderland of experimental and delicious beers - it’s also created a huge army of informed customers who know what they want, and understand when they’re not getting it. As drinkers, we’re now craving the unknown, now that we’ve tried everything else. “There’s a craze right now for rapid batch, different beers all the time from new brewers – but what those brewers haven’t considered is the fact that they are actually over-saturating their own market. You simply can’t put out a new beer every week throughout the year and expect them to be good,” warns Pete Brown, the founder of Forest Road brewery, based in East London. Forest Road are a cuckoo brewery, producing their hoppy, unfiltered ale “Work” overseas in the family-run brewery Brouwerij Van Eecke in Belgium. Pete’s illustrious career is well-documented (seriously, go on the Forest Road website and watch the Forest Road movies. You’ll see.) and took him from homebrewer to large independents like Siren Craft Brew, right to the present day where his own brewery is going from strength to strength. Over the years, now that drinkers in the UK have developed a more sophisticated beer palate, does he feel there’s more pressure to create bang-on perfect brews every time? And does this still give him room to experiment? So, to recap, Pete feels that our insatiable appetite for weird and wonderful beers is actually helping him to rebel. Oh, you optimistic soul. Let’s hope you’re right. Back over at Wild Beer, Andrew considers how his experiences of the UK beer industry have changed over his career. Of course, Wild Beer were never your average beer company. Since the brewery’s start, he and co-founder Brett Ellis have focused their attentions on the natural process of beer, barrel aging and imaginative combinations of flavours. Using yeast gathered from a nearby orchard and foraged ingredients from the local landscape, their concentration on developing a unique terroir has helped them to develop their brewery into a welcomed outsider; a brewery that beer drinkers choose because of their weirdness, not in spite of it. It wasn’t always this way though. In 2018, is the sheer number of existing and commendable new breweries jostling for position in our hearts and on our shelves causing difficulties? And are our heightened expectations adding to it? Andrew thinks so. He’s got a point. Where once it might have been acceptable to put out your first beers and receive negative but constructive critique back from drinkers in order to improve the next batch, now we’re less patient. Could a new brewer survive two failed brews in this competitive climate? Should they? Andrew’s feeling that new brewers might not have the space to learn and grow in the beer industry is a harsh one, but it’s realistic. Would we give their more established peers the benefit of the doubt if they were in the same position? If American drinkers started sticking to what they knew, what’s to say that won’t happen over here in the UK? if reputation counts for so much in beer, if you’re still building yours, would you stick to what you know and risk being penalised for being “safe” or “unoriginal”? Pete certainly doesn’t care about that - his beers “Work” and “Posh” are perhaps proof of the maxim that breweries only need one good beer (or two in his case). So, if you’re looking for Pete’s advice, get a good beer right, and make it great. Andrew’s advice comes from a similar place. Are new breweries feeling the pressure to experiment to keep interest high? If they are, both Andrew and Pete think they should try to control that feeling. As drinkers, beer fans and passionate advocates of independent beer in the UK, it can be incredibly tempting to chase after the new. After all, experimentation and innovation are what make the scene so exciting in the first place. But, at the end of the day, are these the beers and the breweries that endure? We all love seeing brewers take beer to the next level. We also all love well-made beer that speaks for itself, created especially for drinking in pints around a pub table or from a bottle in the middle of a dancefloor. Constantly looking for the next big thing is what’s driving the beer industry forward, but in some ways, it could be restricting it. Are we pushing new breweries the right amount? Or could we find it in our hearts to have a little more chill, and let smaller, newer breweries work hard on perfecting their core beers before moving on to the next thing?